SCS12V Series provides a stable, regulated 12 Vdc output to power sensors, transmitters, SCADA, telemetry equipment, controls and instrumentation. Each kit is pre-wired, pre-assembled and designed for you to add your own solar panel and battery. All other system components are included. 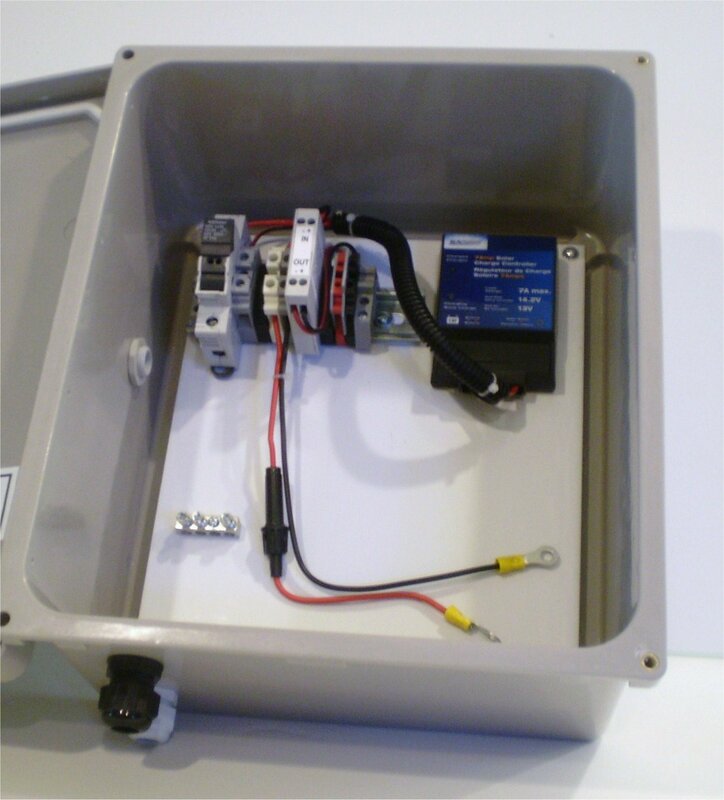 Each kit comes with a weatherproof fiberglass enclosure that has a gasketed hinged door, solar charge controller, touch-safe fuse holder, 12V Dc-dc converter and din-rail terminal blocks for output power connection. Max Battery Size (Height x Length x Width) 6.7 x 7.2 x 3.9" 7.3 x 7.8 x 5.3"
Enclosure Size 11.8 X 9.8 x 6.8"
(300 x 249 x 173mm) 13.8 x 11.9 x 6.8"